Bryce Canyon National Park is exceptional when it comes to unique geology and sights. It’s a place for hiking and appreciating nature’s fascinating processes and diversity. 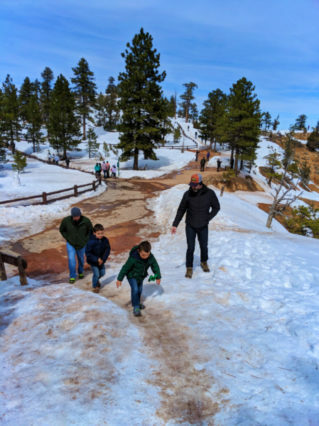 It also gets tons of snow in the winter and spring, so visiting Bryce Canyon in the off season is tricky but totally doable and beautiful. 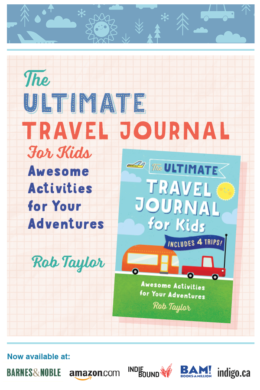 We paired it with a trip to Zion National Park and loved the combo and its varied experiences. 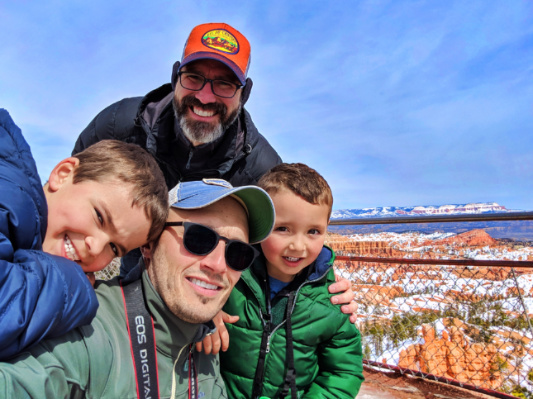 This is our guide for sights, hiking and accommodations at Bryce Canyon National Park, good for any time if year, but especially the off season. That’s actually the best time to go! 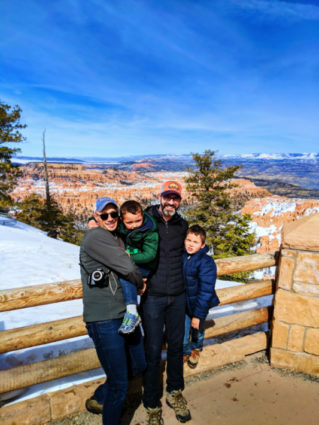 Visiting Bryce Canyon National Park in the off season ensures smaller crowds and lower costs, so it’s a great budget friendly option. 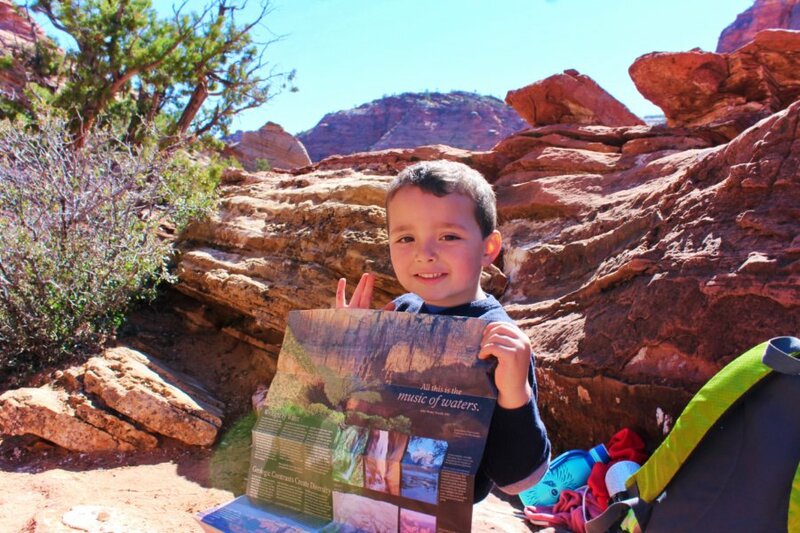 Tip: check out our full Southern Utah National Parks road trip itinerary for more ideas! 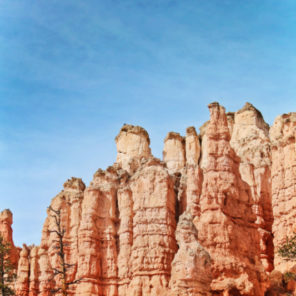 The most popular time for visiting Bryce Canyon is for sure the summer, and why not? It’s gorgeous and sunny; thunderstorms show up out of nowhere; hiking trails are sure to be open; it’s great! Here’s a huge tip though: visitors taper off in early fall and the weather is still awesome. 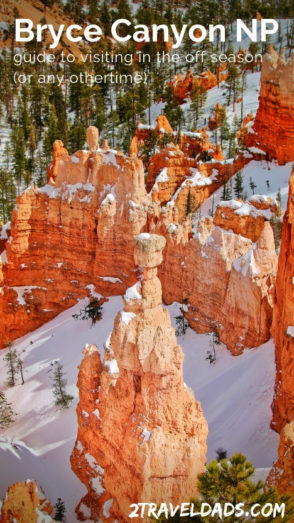 In winter and early spring you’re guaranteed minimal crowds and perfectly snow-capped hoodoos. 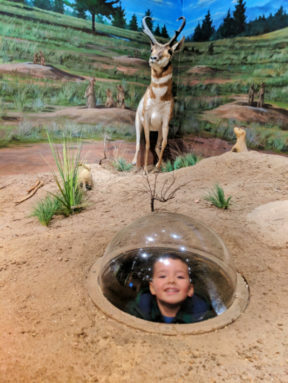 Spring brings the snow melt and prairie dogs. You’ll love it, no doubt. 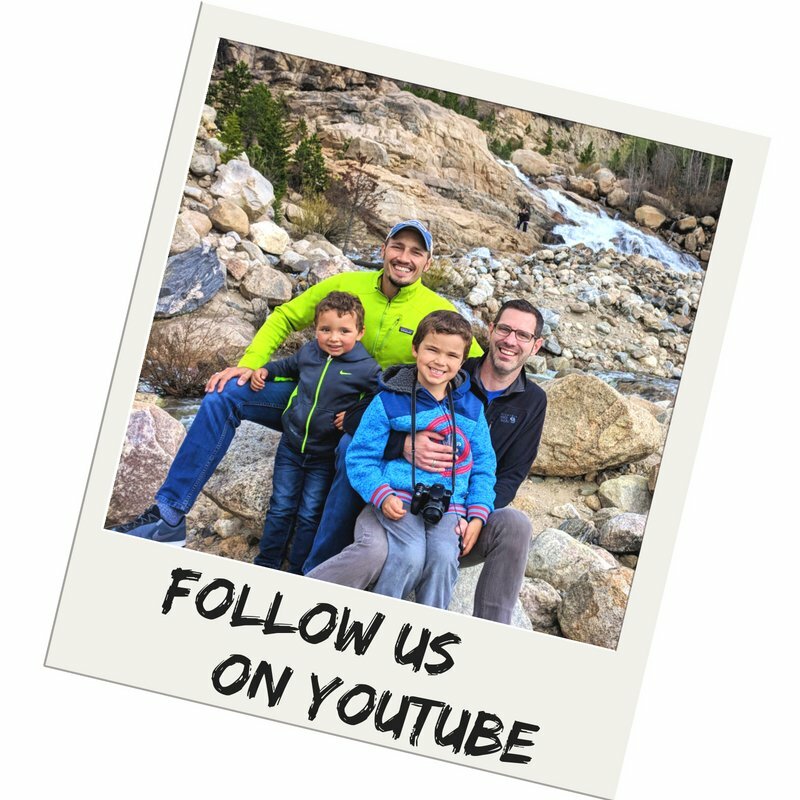 Tip: check out our ideas for Glacier National Park in the off season too. It’s also an amazing National Park and beautiful any time of year (as long as the roads are open). While it’s unlikely that early fall and mid to late spring will have a lot of trail closures, you could certainly well face them. 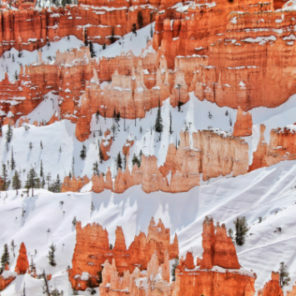 If you’re visiting in winter, it’s highly likely that most trails into Bryce Canyon from the rim will be closed. 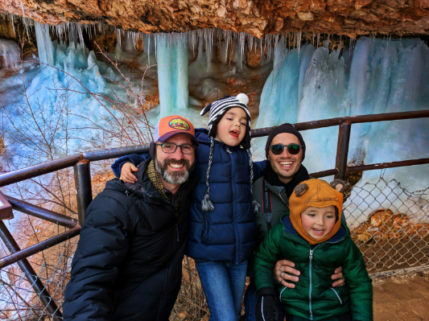 These trails include some of the most iconic shots you see on Instagram and the web: lone pine trees surrounded by sandstone cliffs, arches with zigzagging trails, bighorn sheep in remote areas of the park. 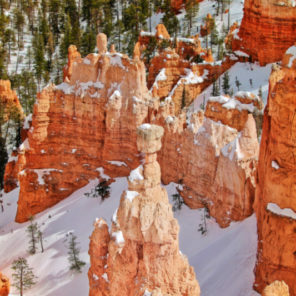 Depending on your goals and what’s most important to you for your trip, visiting Bryce Canyon in the off season may not be your best choice. Just keep the potential closures in mind as you plan your itinerary. National Parks offer many options for travelers of all types. From national travel brands to unique accommodations, RV parks to camping, every price point can be met. 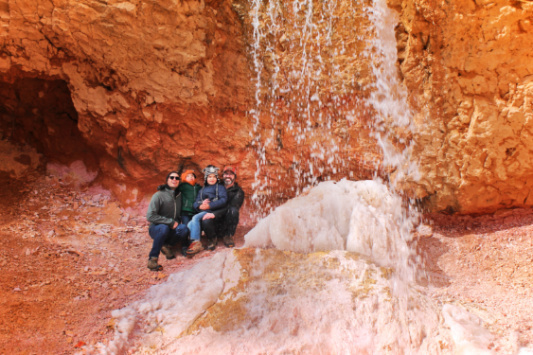 We strongly recommend staying just outside of the Park both the price point and the convenience of being a bit closer to all of the amazing day trips you can take from Bryce Canyon. 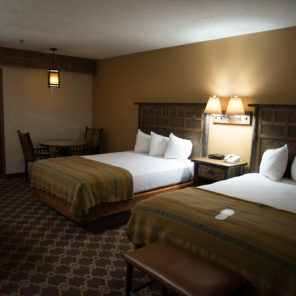 We partnered with Best Western Hotels & Resorts when we visited, and even though they hosted us, our recommendation for the Best Western Plus Bryce Canyon Lodge Grand Hotel is genuine. The rooms are spacious and nicely up to date. The lobby is grand, as the name suggests, with an enormous hearth and great seating. Breakfast is included in your stay and at this hotel, it’s actually a full breakfast with everything you can think of for an American breakfast. Also, there is a large swimming pool and separate hot tub area that we enjoyed. Tip: to keep things low key and fun with kids, take advantage of hotel amenities like the hot tub to allow everyone to decompress. Travel is tiring. 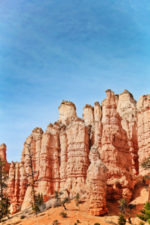 Other options outside of Bryce Canyon National Park include another Best Western, BW Plus Ruby’s Inn, and some small independent resorts: Bryce Canyon Resort, Bryce View Lodge and Bryce UpTop Lodge. Not far from the main Bryce Canyon entrance is another town, Tropic, UT, which also has some good options. There is a KOA resort, some independent motels, and Kodachrome Basin State Park, which has camping. 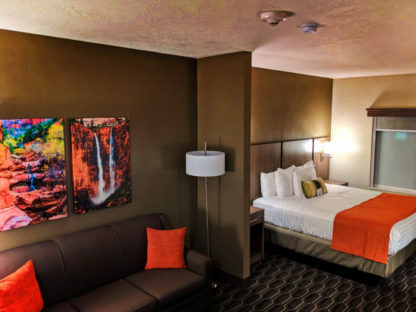 There’s really a lot of choices when it comes to where to stay at Bryce Canyon National Park. 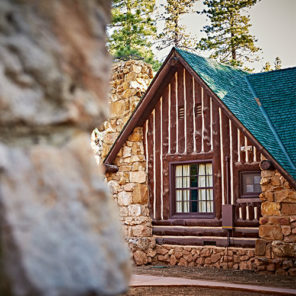 The Bryce Canyon Lodge has been in operation since 1925. It’s got a variety of room types, again depending on your budget. 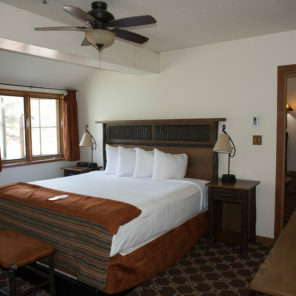 The main lodge building has guest rooms and suites, detached is what they refer to as the “motel” and then there are also Western Cabins. A good portion of the rooms, including the cabins, have been renovated in recent years. 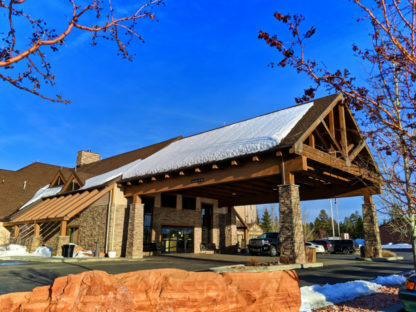 We haven’t stayed at the Bryce Canyon Lodge yet so cannot attest to the overall guest experience, but it is located just off the canyon rim so is an ideal location for exploring and relaxing. 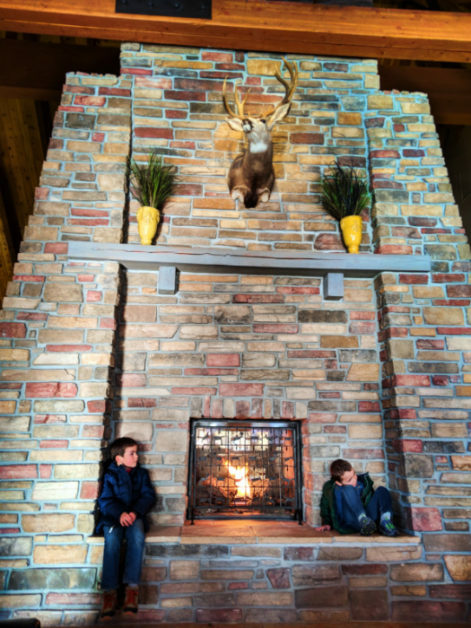 Tip: if you’re not staying at the lodge but want to check it out, the dining room at the lodge is open to the public. 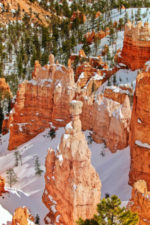 If you are planning on camping in Bryce Canyon National Park, know that there are only two campgrounds within the Park. They are both near the Visitor Center and both fill up very quickly. Also, if you’re there in the off season, know that camping may not be available and when it does first open up… it’ll be sooooo collllddddd. Depending on the exact time you visit you may not have to change any plans, but it certainly is better to be prepared with backups than to be disappointed. 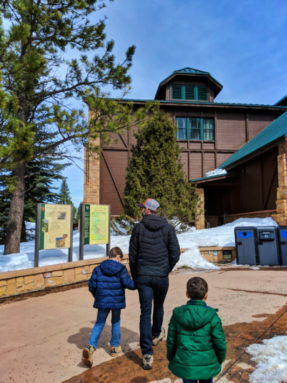 Located at the north entrance to Bryce Canyon National Park, the Visitor Center is open year round. 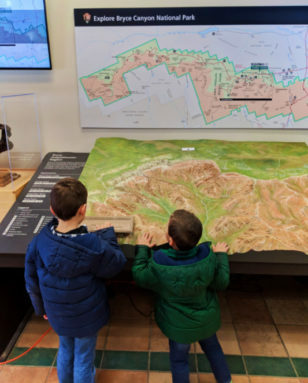 Here, you’ll find the full interpretive center which teaches all about Bryce’s unique geological features, the hoodoos, as well as info about wildlife and hiking. If you’re planning to get deep into the wilderness, permits can be gotten here as well. There are a few different ranger programs offered throughout the year for visitors to enjoy. Ranger walks to hear about the history and geology if the area go year round. Bat and dark sky walks are available, weather permitting, and even snow shoeing in the winter. 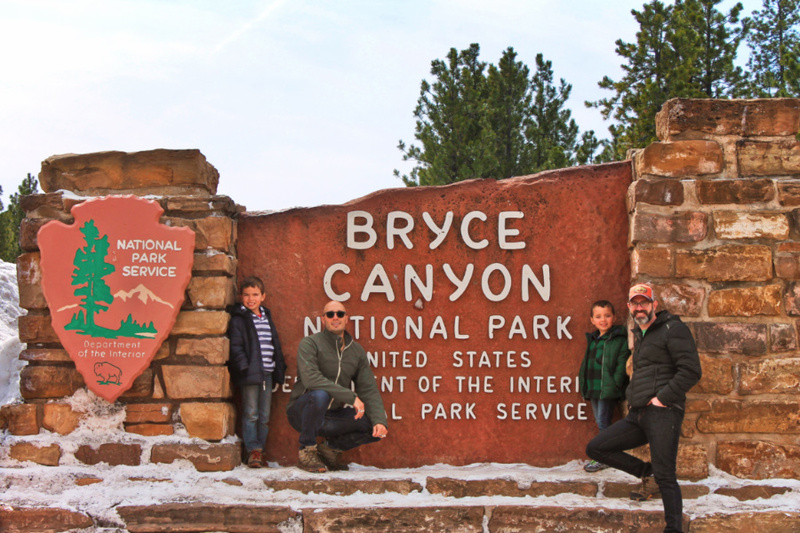 Tip: do the Junior Ranger program at Bryce Canyon, even if you’re an adult. It’s a fascinating National Park! There are three ways to do the full viewpoint route. 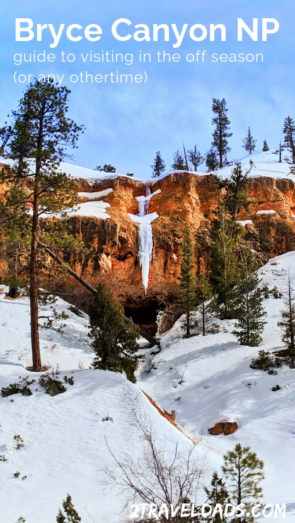 Depending on if you’re visiting Bryce Canyon in the off season, availability may vary. And once they get the Park plowed, you’ll have access to even more of the canyon and the lowlands too. So much to explore! Driving yourself to the many viewpoints along the rim is going to be the most common way to see the majority of Bryce Canyon in the off season. They plow the main road and side loops from the entrance to Bryce Point, but not the full 20+ mile park road. This gives you the option of stopping at all or just a few of the canyon viewpoints. 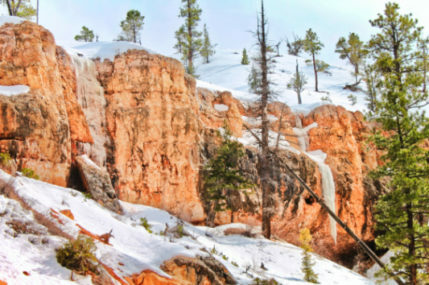 This also will give you access to the Bryce Canyon Lodge. Similar to the driving option the Bryce Canyon shuttle will carry visitors from the Visitor Center to Bryce Point, but not further. The shuttle is a free service for paying visitors to the National Park, even picking them up from the hotels in Bryce Canyon Village. While it’s not required that guests use the provided shuttle, it helps to greatly reduce the traffic in the Park as well as cuts down on environmental impact. 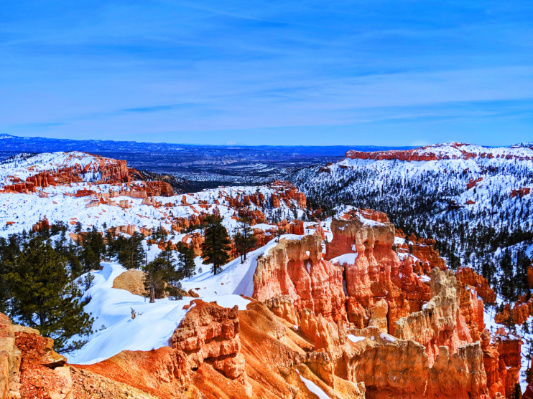 The primary Bryce Shuttle won’t be available if you’re visiting Bryce Canyon in the off season, but it does run from mid-April to late-October. A bonus shuttle program Bryce Canyon National Park offers in high season is the Rainbow Point Shuttle. It only runs twice a day and is quite the trip. It’s a 40 mile loop that takes 3.5 hours. This is a good option for getting to some of the back country trail heads and less visited areas of the Park without having to drive yourself. Tip: if you’re taking the Rainbow Point Shuttle DO NOT MISS IT. It only comes twice daily and you don’t want to get stuck somewhere. The third, and probably the most fun, option for checking out all the viewpoints at Bryce Canyon National Park is hiking from view to view. Leaving from the Visitor Center or starting at Fairyland Point, hikers can go all the way to Bryce Point on the 11 mile Rim Trail. In the off season, the rim tail is cleared in most sections with trail markers placed in the snow when needed. 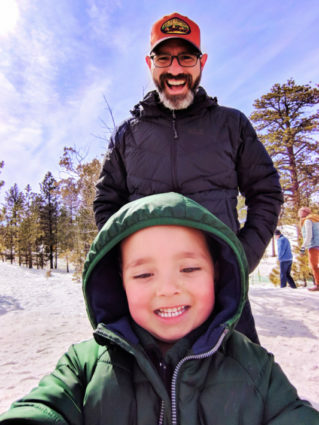 Note: like with other trails, the Rim Trail being open depends on the weather. Heavy snow or rain may close the trail both for hiker and habitat safety. If you’re not up for doing the full 11 miles, you can do any section from point to point as a loop as long as weather is permitting and the trail is open. This may sound lame of me, but every view and sight is breathtaking, but after you’ve taken in several different view, visiting each point or doing each hike can feel repetitive. It’s all very beautiful and as the light changes throughout the day, it’s gorgeous, but if you’re strapped for time or the weather isn’t cooperating, it’s okay to not do everything. It’s important to know that any hiking INTO Bryce Canyon from the rim is considered strenuous. 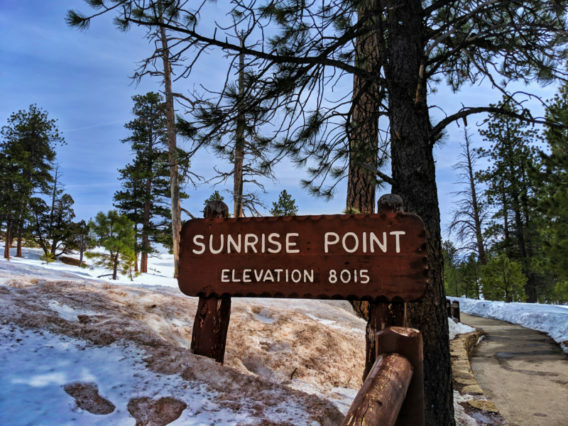 The reason for this is because the elevation has a severe impact on many hikers and when paired with the heat (in summer) and steep trail grade (year round), you’re going to need to be is average to good physical condition to hike in the canyon. 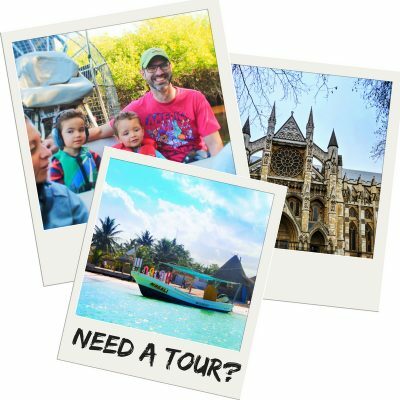 There are several sensible trails that give both incredible views as well as unique sites though, and that’s what we’re recommending. All of the following hikes start at the canyon rim and head DOWN. Choose your hiking with care and excitement! If you ask your kids they’ll tell you that their favorite hike ever is Mossy Cave. 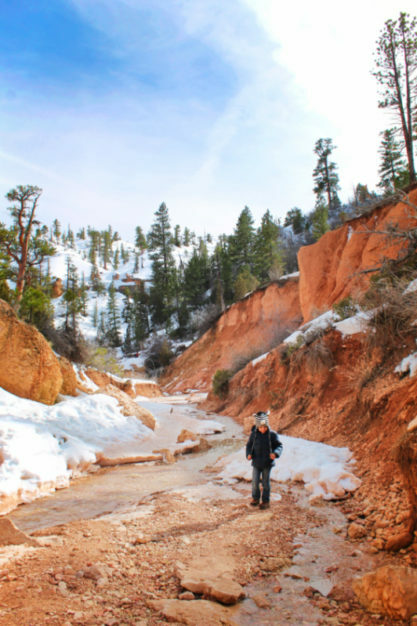 This is the perfect hike when you’re visiting Bryce Canyon National Park in the off season. Located outside of the main National Park entrance on the east side of the Park, Mossy Cave gives you a taste of hiking in the main canyon with hoodoos and cliffs, but on a smaller, more up-close scale. At just 1.6 miles round trip, it’s a relatively easy hike. Highlights along the trail include two medium sized waterfalls and colorful cliffs all around. 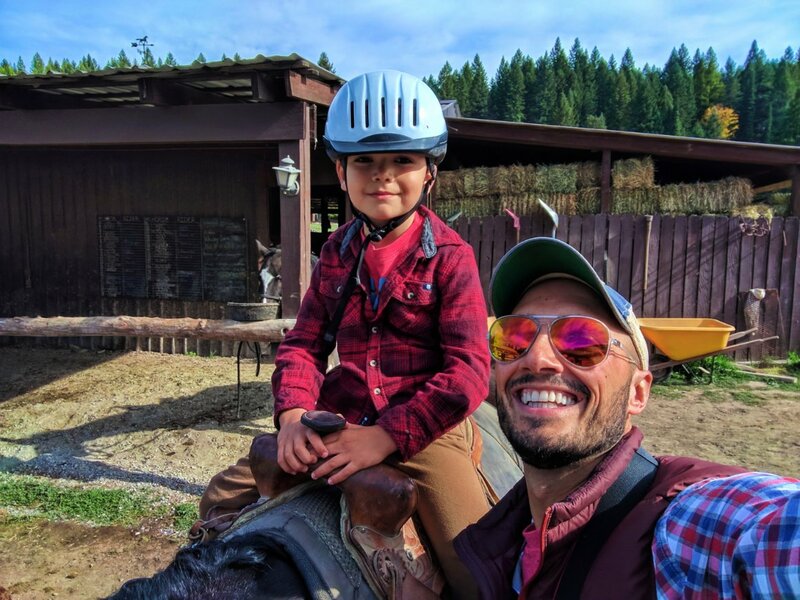 The trail is perfect with small kids but it’s also interesting enough for adults. Mossy Cave itself is pretty cool. A shallow cave, it’s not a crazy spelunking adventure, but just a beautiful spot. 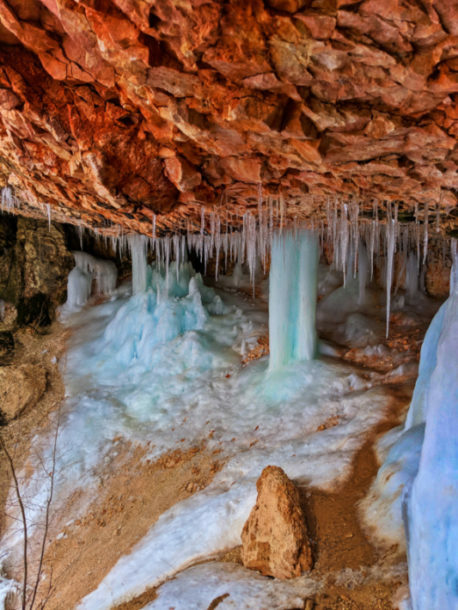 From late fall to the end of spring (depending on the harshness of the winter) the waterfall that spills over the edge of Mossy Cave actually freezes and builds a natural ice palace. It’s incredible! Of all the hikes we’ve done we’ve never seen anything like it. The other cool site to check out in the off season is Tropic Ditch Creek, which joins up with the main stream from Mossy Cave. While the water level is low and the ground mostly frozen, you can hike back to the base of the falls and when go behind them. It’s fun with kids, for sure. For geology nerds like us, this is a really cool trail because it has different types of rock and is actually the perfect example of a canyon forming in its earliest stages. Super cool. 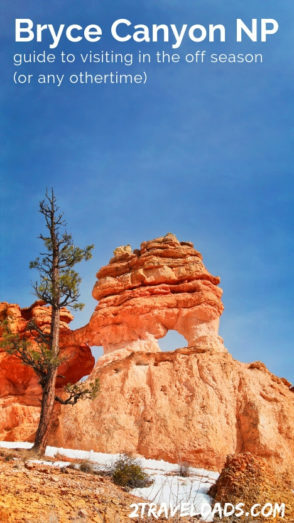 Check back soon for our recommendations for day trips from Bryce Canyon National Park. 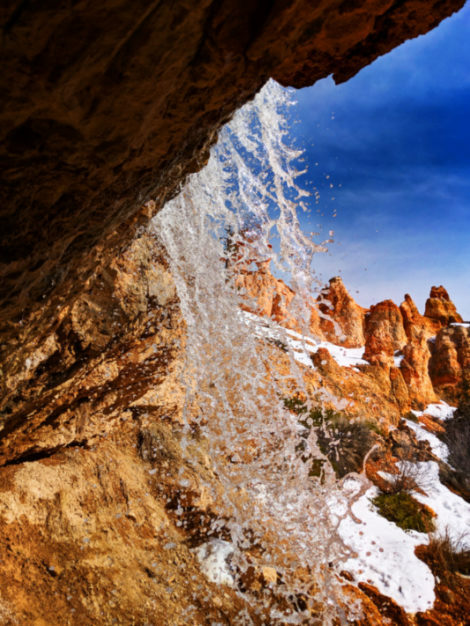 There is a while world of hiking and wonderment just beyond the Park boundaries, so you’ll want to add some of those recommendations to your Utah National Park road trip itinerary. 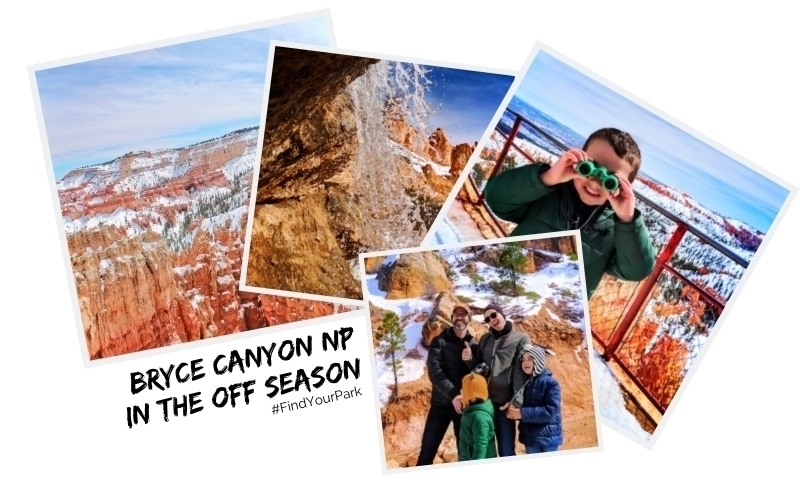 Want to pin this for planning your own trip for visiting Bryce Canyon National Oak in the off season? Go for it!